CHICAGO (WLS) -- Saint Sabina is launching a letter-writing campaign to help restore the Jackie Robinson West team's U.S. Little League championship title. The church hosted the team at a mass Sunday. 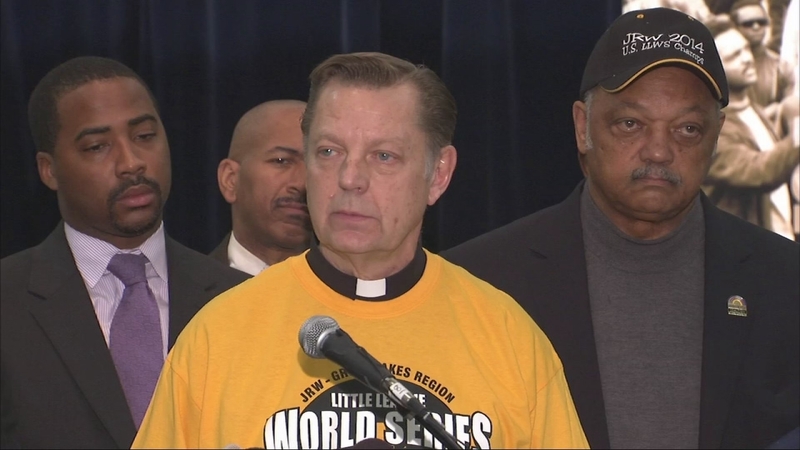 Father Michael Pfleger is joining a growing list of lawmakers and community leaders asking Little League officials to restore the team's 2014 title, which it lost over residency issues. The Howard University Gospel Choir will also be at the service.